Beer came late to Japan -- about 6,000 years later. The Japanese, however, were not slack in the "altering of consciousness through liquid means" department. They had been brewing their rice wine for countless generations before beer found its way over. 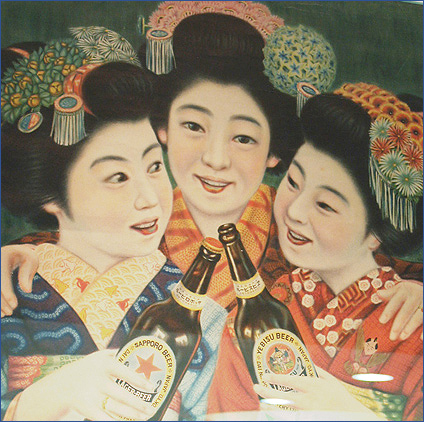 Beer was first tentatively introduced to the Japanese during the nation's seclusionary Edo Period (1615-1867) by Dutch traders. It did not catch hold at the time. Over the following decades, beer drinking increased in popularity and became an established pastime. These days it's hard to imagine a Japan without beer, as it has become so firmly entrenched into the Japanese lifestyle. What helped is the fact that a good percentage of Japanese food, from sushi to yaki-tori (chicken skewers), simply goes great with beer. 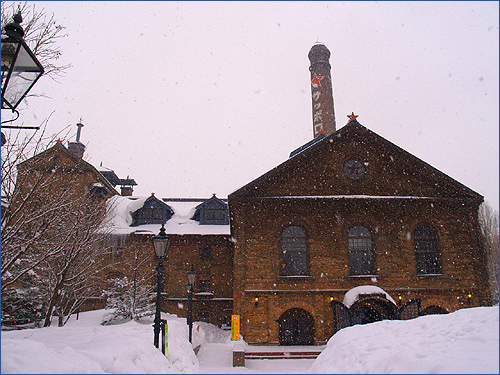 The Sapporo Beer Museum in Sapporo is a good place for beer lovers to go to learn more about the history of beer brewing in Japan. 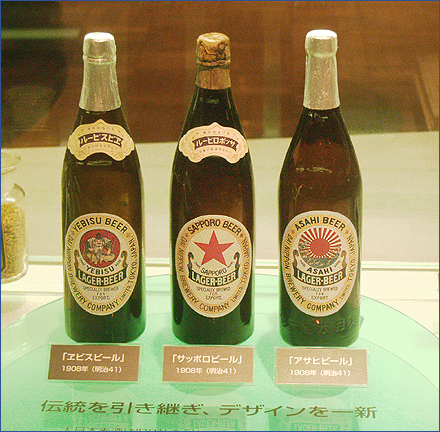 The Museum has a collection of beer bottles and cans that date back to the late 19th Century. Visitors can also watch beer commercials that span several decades. There are two small bars where one can -- for a small fee -- sample the wares. Two of the beers -- Kaitakushi and Sapporo Classic -- are only available in Hokkaido. The taste of Sapporo beer, which its admirers harp on about, comes from unique hops that are only produced in certain areas around the world -- areas known for their exceptional beers. 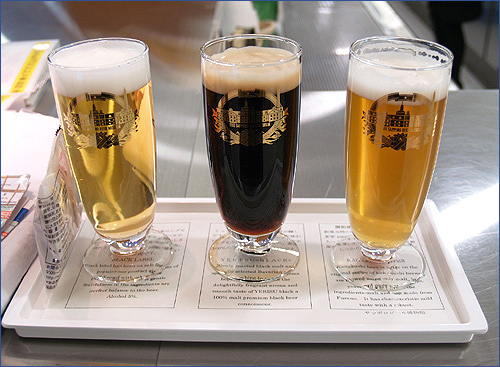 Sapporo Brewery prides itself in its quality ingredients and the skill of its brewers. 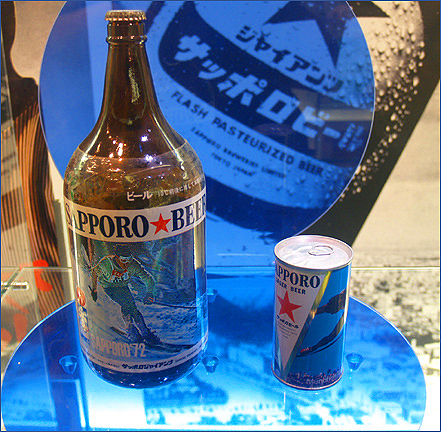 Sapporo beer can be seen as a delicious result of German brewing practices and Japanese attention to detail. Visitors shouldn't try to get too involved in their study of Sapporo's finest brew at the Museum's bar, however. 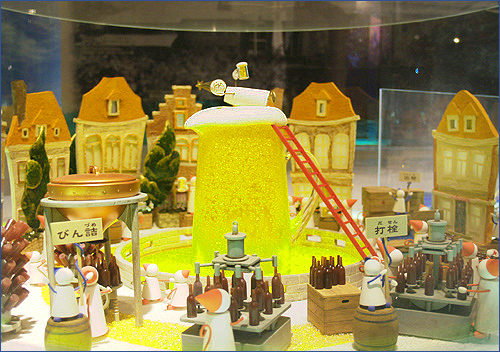 Attached to the museum is the Sapporo Beer Garten, where for just under 4,000 Yen a person can help themselves to all the beer they can drink for 100 minutes. Accompanying the beer are strips of lamb meat cooked on a grill at the customer's table by the customer themselves. 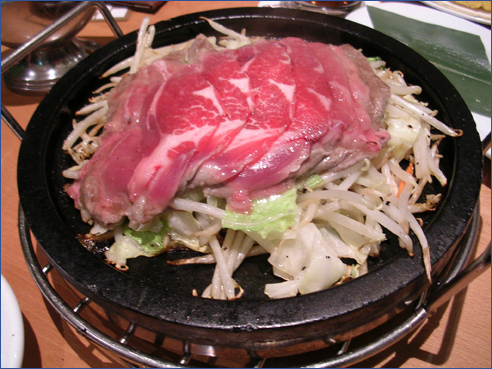 This dish is named after the famous Mongol conqueror: Genghis Khan. After 100 minutes of incessant beer guzzling and lamb chomping, the only kingdom you'll be interested in sacking will be the one with the porcelain throne.